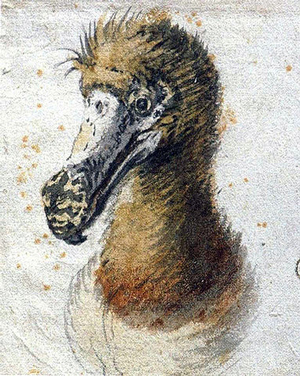 In the world’s lexicon, the Dodo is an example of clumsiness, a species doomed to go extinct. Such perceptions, say an international team of researchers, are mostly wrong. 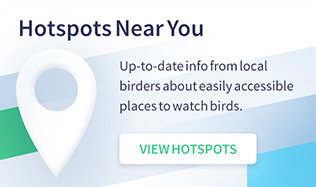 In fact, the Dodo, which went extinct on the island of Mauritius 320 years ago, was a member of the pigeon family, one that found a niche on an island free of mammalian predators. 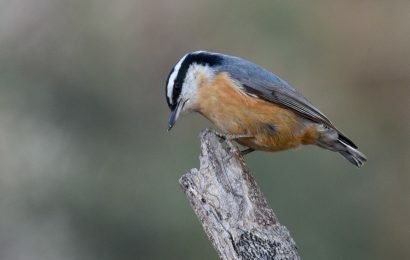 What’s more, the story of the bird’s demise sheds much-needed light on the processes by which species are disappearing today. The researchers — Leon Claessens of the College of the Holy Cross in Massachusetts, Julian Hume of the Natural History Museum UK, Hanneke Meijer of the Institut Català de Paleontologia in Barcelona, and their colleagues in the Dodo Research Programme — recently reconstructed how the Dodo walked, moved, and lived in unprecedented detail. 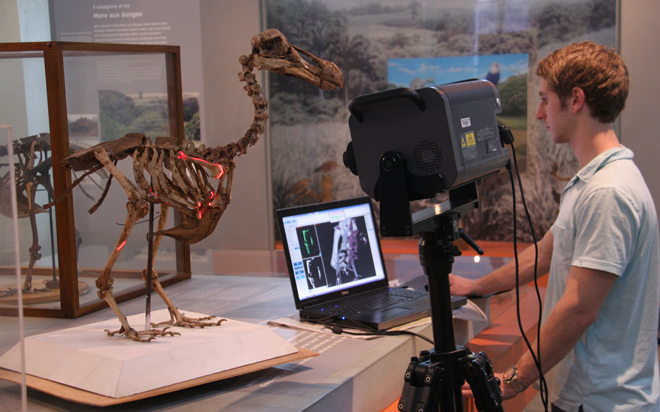 They did so with the help of a high-tech 3-D laser scanner, which they used to study the only known complete skeleton. An amateur collector found the bones around 1903 on Mauritius. “Being able to examine the skeleton of a single individual Dodo, which is not made up of as many individual birds as there are bones, as is the case in composite skeletons, truly allows us to appreciate the way the Dodo looked and see how tall or rotund it really was,” says Hume. 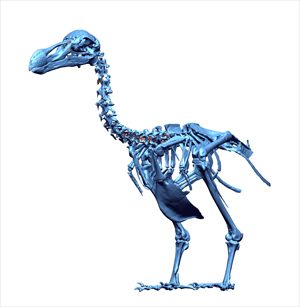 Using scans of the skeleton, Claessens, Meijer, and their colleagues estimated the Dodo’s weight. 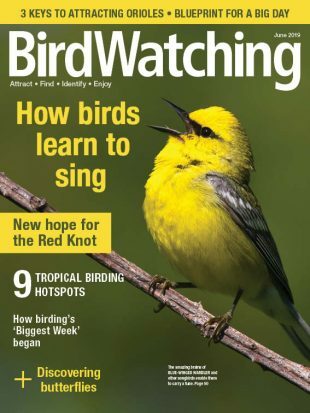 Skinny birds had a mass of 25 pounds (11.3 kg), intermediate birds weighed about 32 pounds (14.5 kg), and fat Dodos could have topped the scales at 42 pounds (19 kg), they say. 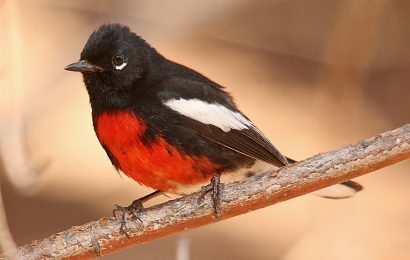 If the species had lived, it would be among the heaviest birds on the planet, weighing about the same as the King Penguin. In 2005, scientists uncovered a fossil deposit in southeast Mauritius that contained the bones of thousands of animals. Long ago, the site was the home of a freshwater lake, but when an extreme drought struck Mauritius 4,200 years ago, the lake shrank, salinization occurred, bacteria bloomed, and the water was poisoned. 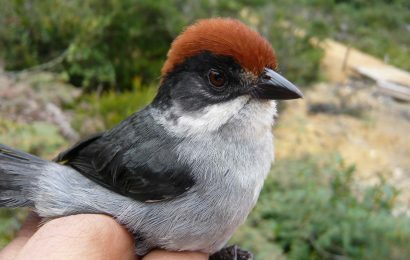 Flightless birds, giant tortoises, and other animals became stuck and died, leaving behind a remarkable fossil record of the consequences of a changing climate. 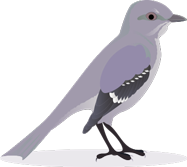 At the site, known as Mare aux Songes, the researchers found the bones of 24 bird species (Dodos, pigeons, parrots, and small songbirds), 15 reptiles (skinks, giant tortoises), and five mammals (all bats). Despite the drought, all of the species survived, and when Europeans arrived on Mauritius in the 1500s, the animals were still present. Now, many are extinct. 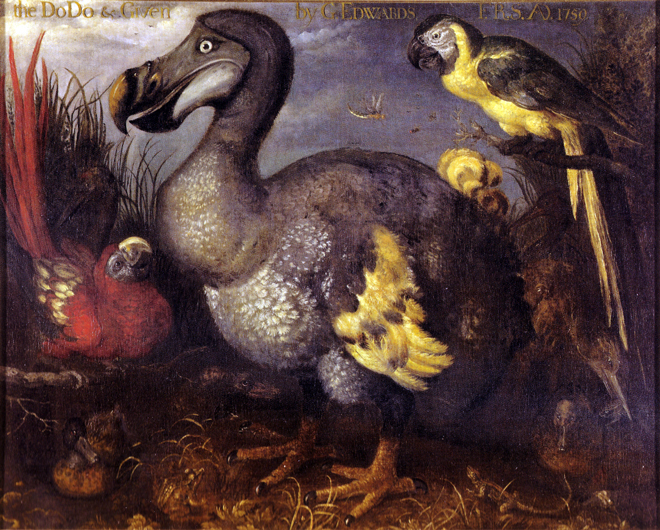 The Dodo died out by about 1690.